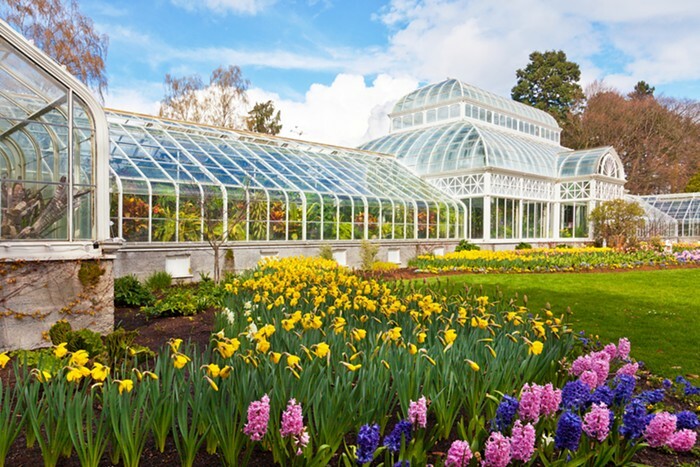 Located in Seattle's 48.3-acre Volunteer Park, the beautiful, historic conservatory, completed in 1912, is one of the few remaining original Victorian glass houses in the country. Its five display houses are home to tropical plants, palms, ferns, cacti, and other seasonal plants. There is usually a $4 admission fee for adults, but admission is free on first Thursdays and Saturdays. Admission is always free for kids 12 and younger.